First of all, if you are pregnant, congratulations. You have made it past the “thin pink line”, which is an enormous step. Remember too that pregnancy is a normal physiological state, however, that said it is common for women to have more issues when pregnant than when they were not, due to the hormonal changes, increase in blood, as well as physical and mechanical changes. It can be a worrying time, with limited options available from Western Medicine and a reluctance for Western Medicine to “treat” pregnant women unless their symptoms are very severe. The good news is that you don’t have to suffer. Acupuncture offers a safe, effective and drug-free approach that works with your body and mind. There is no greater privilege than treating a pregnancy mum-to-be with Acupuncture and East Asian Medicine as the baby is also the patient and also benefits. 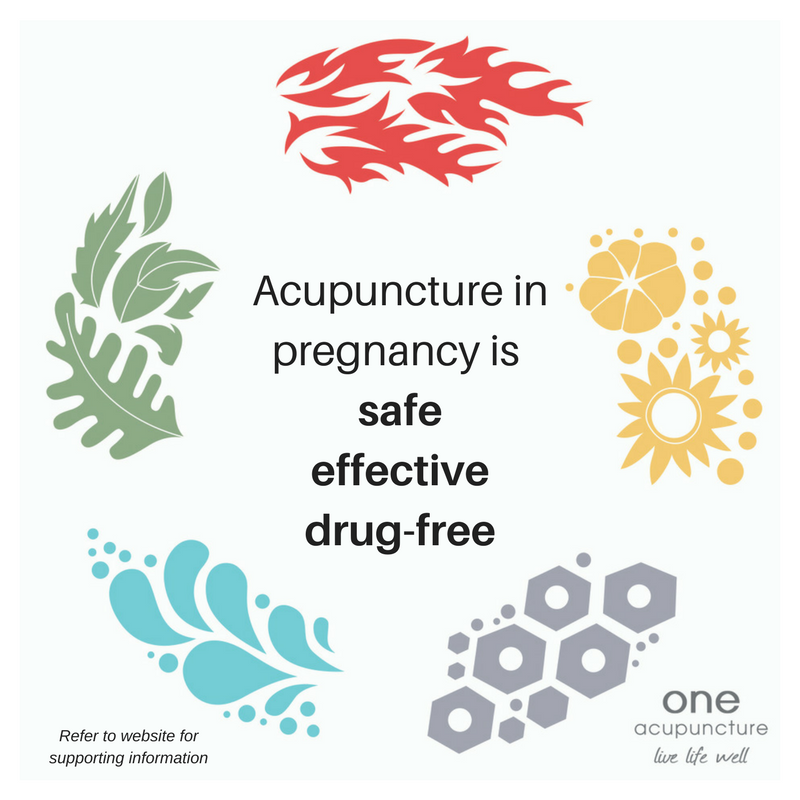 Anecdotally, patients who have regular treatment throughout their pregnancy compared to a previous pregnancy where they haven’t received Acupuncture, report fewer pregnancy symptoms, positive birth experiences, fewer interventions, calmer babies and better breastfeeding. Alison had regular Acupuncture throughout all but one of her pregnancies and knows that it really supported her through serious medical complications. She sees her positive experience repeated now in her own clinic and with the mums and their babies she has helped throughout their pregnancies. As part of her commitment to increase awareness and improve clinical practice, Alison created and is Chair of ACT Berkshire, a regional network of Traditional Acupuncture professionals with special interest and post-graduate training in Fertility & Pregnancy. [http://www.actberks.org.uk/alison-savory.html]. Representing ACT, Alison and her colleagues have provided professional training to midwives at a local hospital on Acupuncture in Pregnancy. ACT seeks to foster closer ties with Health Professionals in this area. Birth-fit Programmeas part of weekly birth-preparation treatments (from 35+ weeks), private tuition for both partners (optional) of acupressure points for pre-and labour, birth positions, advice on a positive birth experience. More details here. Alison takes a complete health history, makes observations and creates your individual East Asian Medicine-based diagnosis which is the foundation of your treatment at One Acupuncture®. She integrates any information you have from a Western perspective, including understanding your Western “label” if any, results of Western blood and other tests. She advises you to bring your NHS maternity notes to every appointment. Treatment makes best use of all the East Asian Medicine toolsare her disposal [link to what we do section] to help balance your body and mind. This includes not only Traditional Acupuncture, but also Tui Na (Chinese Massage) and heating herbs (moxa) as well as other techniques. In pregnancy, distal (e.g. points on the arms and legs) are used in later pregnancy. This is always an important question, never more so when you are carrying a child. In general terms, Acupuncture has been proven to be safe, with lower and less severe side-effects than conventional medicine. Specifically for pregnancy, approximately 72,000 Acupuncture patients were investigated in two separate studies in 2001 and 2003 and the results were published in the British Medical Journal. There were only a handful of minor and transient side effects recorded. In a meta-analysis published in 2015 by Clarkson, 17 clinical studies were investigated and this confirmed that any side-effects were largely minor and comparable to non-acupuncture treatments. Traditional Acupuncturists are trained to avoid using certain points during pregnancy as these are considered to be strong, moving points that are also used to encourage onset of labour. Western medics and health professionals who practice a limited form of medical acupuncture do not generally share this view. Alison advises caution and always recommends having Acupuncture while pregnant with a qualified Acupuncturist, fully trained in Traditional Acupuncture, a member of the British Acupuncture Council as adheres to their Professional Standards and who has significant post-graduate training and experience in treating pregnant women. Postnatal Support including "Mother roasting", lactation support. Alison highly recommends Pre-birth Acupuncture to all pregnant women, including those planning an elective C-section, for whatever reason. There is good clinical evidence that this supports a positive birth with improved outcomes (details below) and in Alison’s professional and personal experience, mothers-to-be who have pre-birth acupuncture can have shorter, more productive labours and less intervention. Anecdotally in the clinic she also observes that feeding after birth (natural or assisted) can be smoother and many patients who have had a second or third baby with pre-birth acupuncture confirm this as well as a more-contented baby, compared to previous births. At One Acupuncture® the Birth Fit Programme recommends weekly treatments from 35+ weeks. There is no extra charge for this service. Patients and their partners receive a private coaching session on important acupressure points to use in pre-and during labour as well as support and insights into creating an optimal environment for a positive birth, all rooted in Alison’s training with Debra Betts [see link at bottom section], a leading maternity acupuncturist and her training and experience as a birth doula/acupuncturist. Regular treatments in the weeks leading up to the birth can be given to harmonise energy and to focus on the process of labour. For example, it is thought that acupuncture can help to support the ligaments and sinews as they stretch to widen the pelvis, helping to soften and ripen the cervix, which helps the baby descend into the pelvis in the optimal position, as well as boosting your energy reserves. This is an important time for treatment. Depending on the mothers condition a 40 week treatment may be recommended and encouragement of onset of labour can be undertaken with acupuncture from week 41+, bearing in mind that 40-42 weeks is a normal window for natural onset of labour. Postnatal Support including “Mother roasting”, lactation support. A summary of the professional postgraduate courses Alison has attended relating specifically to Pregnancy Care. You can find a complete list of courses taken, here. NCT: National Childbirth Trust. Alison was active in her local NCT for a decade, including being Co-Branch Co-ordinator. TAMBA: Twins & Multiple Births Association.